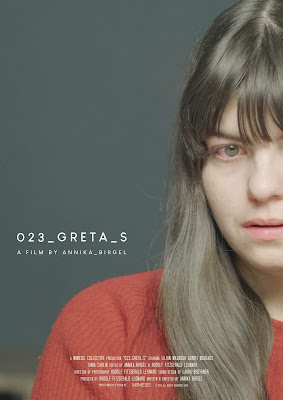 Annika Birgel‘s 023_GRETA_S is an uncomfortable masterpiece. Arising out of a casting call the director had, the film lays bare the creepy things that men do to women especially in an “official” job related manner. The film has Greta go in for an interview with a director for an unspecified role. He then proceeds to ask her a series of personal, and way off base questions. It’s clear from watching Greta’s face that none of this is alright or okay. And while none of it is graphic, the tone and sheer weight of the probing just makes it uncomfortable. Never having had to endure anything like this I squirmed in my seat. I was incredibly uncomfortable and I desperately wanted to pull Greta out of there. I’m guessing that most women who see this will be screaming at the screen in acknowledgement of what is being shown. Most men, who probably never had to endure anything like this will stare at the screen dumbfounded. Kudos to Lilian Mazbouh as Greta. She is the whole film, her’s being really the only face we see. Told in painful close up (think of her as a modern day version of Dreyer’s Joan of Arc) she makes us feel everything. It is an award worthy performance and one that will make you wonder why the various big awards don’t include shorts- until you realize that the work being done in these small films more often than not put to shame the work of the big stars in bloated Hollywood films. In any age and not just the current #metoo one 023_GRETA_S is a must see.